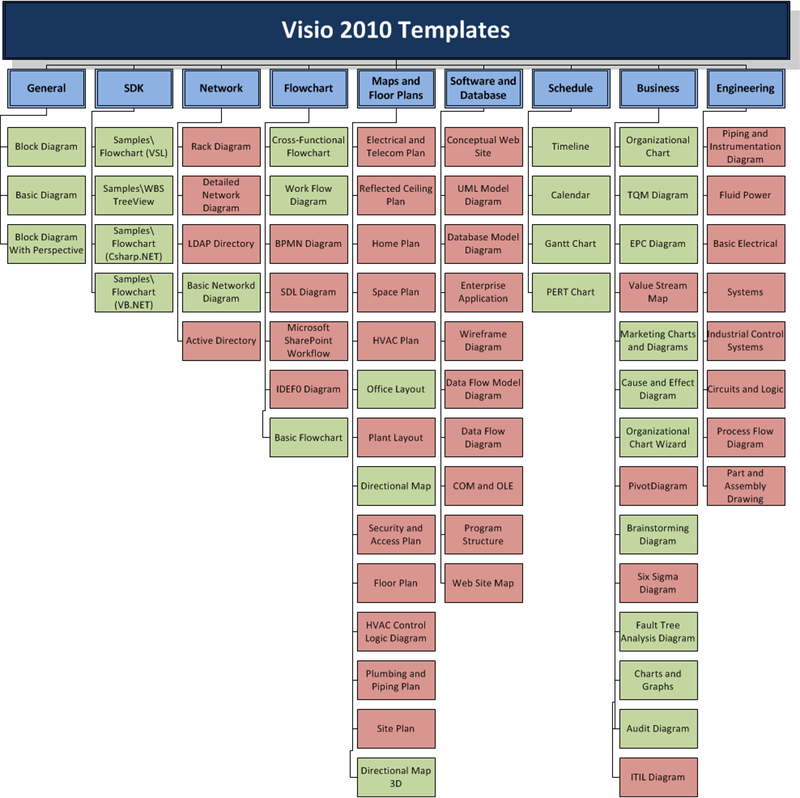 Visio 2010 comes in three editions: Standard, Pro and Premium. I’ve been analyzing which content comes in which edition, and experimenting with Visio features to help visualize this information. If you are trying to decide which edition to purchase, you might find these visuals informative…and fun! I used Visio 2010 Premium to create these graphics. After arduously compiling a list of all templates and editions in Microsoft Excel 2010. I was able to categorize each template, and create a company-like data structure that the Organizational Chart Wizard could handle. Once the org-chart was created from the diagram, I used the Color-by-Value feature of Data Graphics to turn template boxes green or red. 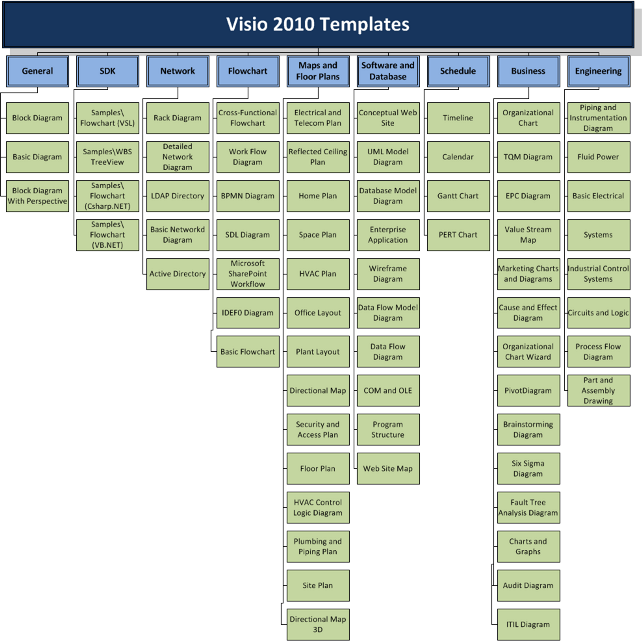 As of this writing, Visio 2010 Premium Edition lists for $999.00 on Amazon.com. As of this writing, Visio 2010 Pro Edition lists for $559.95 on Amazon.com. 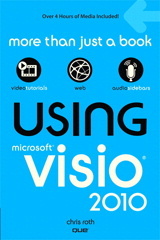 As of this writing, Visio 2010 Standard Edition lists for $249.95 on Amazon.com. Of course templates are not the whole story. Each edition ships with different sets of stencils and add-ons as well. If this article receives enough attention and comments, I will post a list of templates in text-form, which might be helpful. So let me know! Are the colors reversed on the Standard image? Just fixed it, thanks Tina. I was messing around with themes and had my greens and reds all confused! That’s a good way of highlighting what’s in what edition. I was trying to remember if these were in my book, surprised to find that I forgot to even reference them! Must have been a page-count issue that limited what I could put in! A neat feature to add to these diagrams would be to click on the box for a template and it’s opened for you! 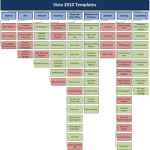 Quick and easy way of seeing what’s templates are available for your version opening it. Diagram would only show those available based upon your version.